I can hardly get over how compact and clever this Barcelona apartment is – a full living space crammed into 258 square feet! I once had a 410 sq.ft. efficiency apartment, and I thought that I was roughing it. 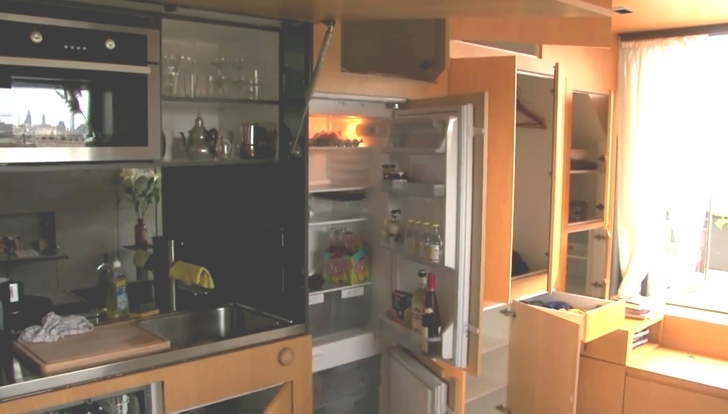 It is refreshing to see how little space a person actually needs when it is designed well.